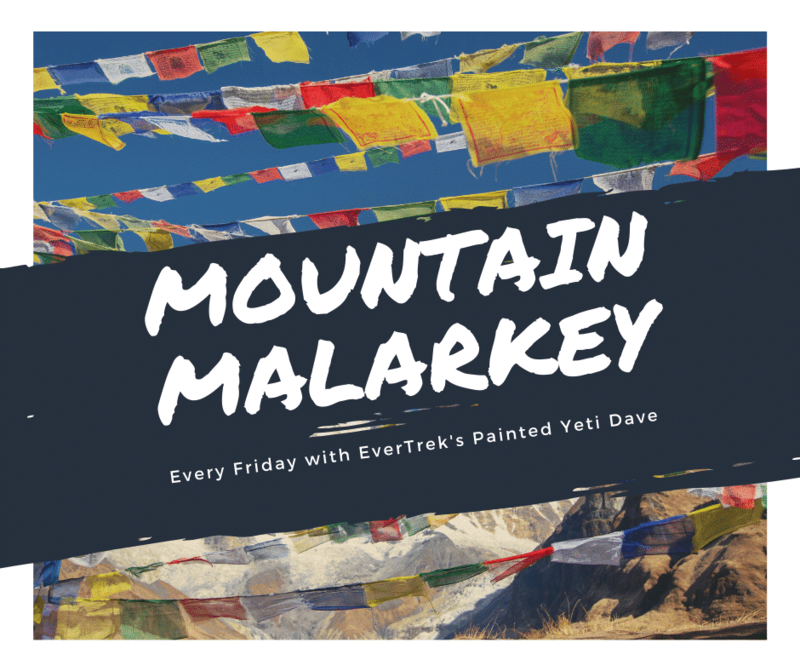 I'm Dave Carpenter, Adventure Expert at EverTrek and also 'The Painted Yeti' to many of our customers. It must be my Tattoo's or something! The mountains are an awesome place to have a laugh and enjoy yourself, especially on the Everest Base Camp trek. Although it's a serious challenge, it really helps to keep a positive attitude and also have a laugh with your group. This week I want to start off by talking about the time a ghost said hello to me at Gorak Shep at 5164m. Yes, I did just say Ghost! I had just done Base Camp. My legs were in pieces and I was devouring some veggie momos(Nepalese Dumplings and are awesome by the way) when I heard a familiar accent, it was a girl in a separate group who, as it turned out, was from Porthcawl in South Wales. Can't get away from these Welsh I thought! As surprising as this was it wasn’t as good as the next news I received, she was a cardiologist. Is there anyone you would rather meet at this point on a high altitude trek than a cardiologist when your about to go to sleep at Gorak Shep? Me and Billy(a friend who came with me to base camp) went back to our room after sitting around the hot stove for a couple of hours. Once I was done chatting to Billy about the dire condition of the toilet and heeding his warning to avoid it if I can, we drifted off to sleep. It was some hours later when I heard the Ghost. You never sleep well at Gorak Shep, its 5,164m above sea level and tends to be a little cold. I’m not a religious man, but at that moment I began to send out urgent messages to every god, demigod, deity, spiritual leader and sacred animal I could think of. My heart rate that was already slightly jacked up went through the roof. I sat up in my bed with a jolt, then I heard it again..."hello"
"help me" the ghost said. It was around this time I started to wake up a bit and clear my altitude fogged mind. I was just about to get up when Billy jumped up like a jack in the box! "Someone’s locked in the toilet!!!!!!!" He ran out of the room and checked the toilet, nobody there. Thank god he said. Then he found that our neighbour had somehow become locked in her room from the outside. The latch on her door had been slid across by someone feeling there way down the corridor. Low and behold it was the cardiologist! You will be happy to hear, we helped her get out and she made her way to the toilets. I was not envious of this journey for her. A cardiologist nearly gave me a heart attack in Gorek Shep. I hope you enjoyed the first of many stories from my adventures on the Everest Base Camp trek. Have an awesome week and I'll catch up with you again next Friday.